Mr James Wright. Bsc (Hons) , D.Pod.M. We are based at No1 LUSHINGTON ROAD. Eastbourne, East Sussex and we offer high quality chiropody and podiatry services having been established for over 35 years. We aim to provide you with the very best treatments available. Here at Podiamed ltd we take pride in the reputation of this practice and will continue to develop and maintain the highest clinical standards. 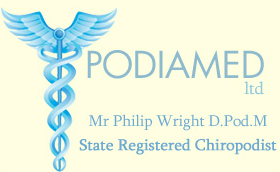 When you need chiropody/podiatry services in Eastbourne and the surrounding areas, get in touch with us today here at Podiamed Ltd on (01323) 721814. 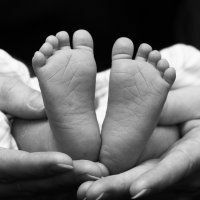 If you have any foot or ankle pain, see a Podiatrist now! Don't delay, remember... We can also provide surgery and home visits by appointment to anyone residing throughout the whole of Eastbourne and surrounding areas. Click here to check for available appointments.